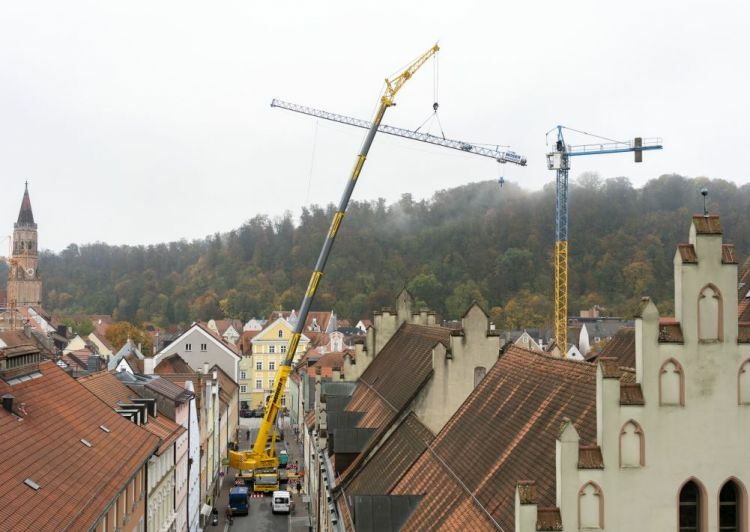 A Liebherr LTM 1250-5.1 mobile crane dismantled a construction crane in the old town of Landshut in Bavaria in very difficult conditions. 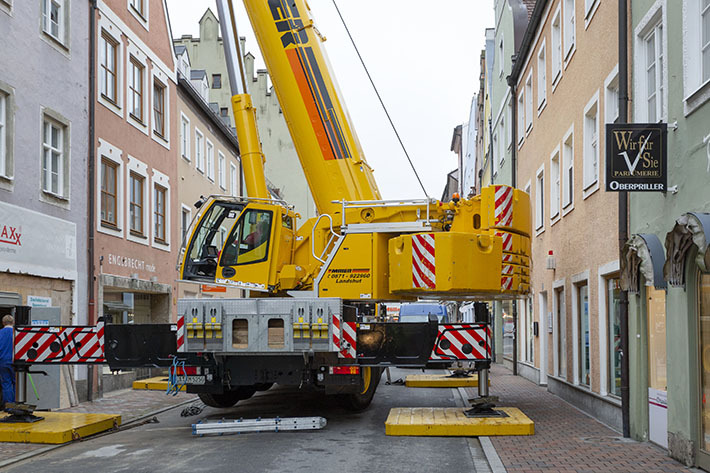 The innovative features of VarioBase® and VarioBallast® were essential for setting up the crane in a narrow alley. The work was carried out by Landshut-based Kran-Maier. Difficult – the telescopic boom had to be manoeuvred between gable ends to reach the load with a radius of 40 metres. 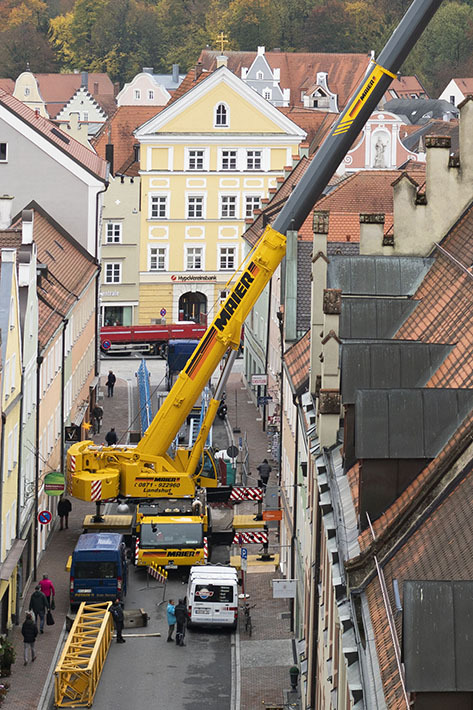 The dismantling of a construction crane from a rear yard in the old town of Landshut was carried out using a Liebherr LTM 1250-5.1 mobile crane in an alley measuring just eight and a half metres in width. 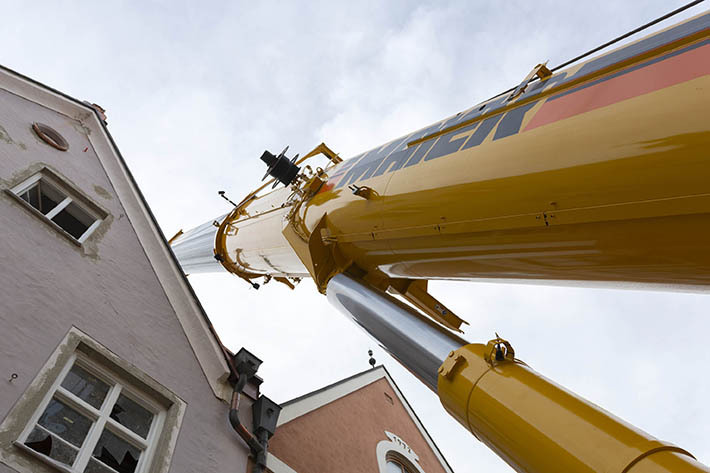 To ensure that the crane could slew in the alley featuring four-storey town houses, crane operator Martin Auer from Kran-Maier set the 88 tonnes of ballast to a reduced radius of 4.78 metres. 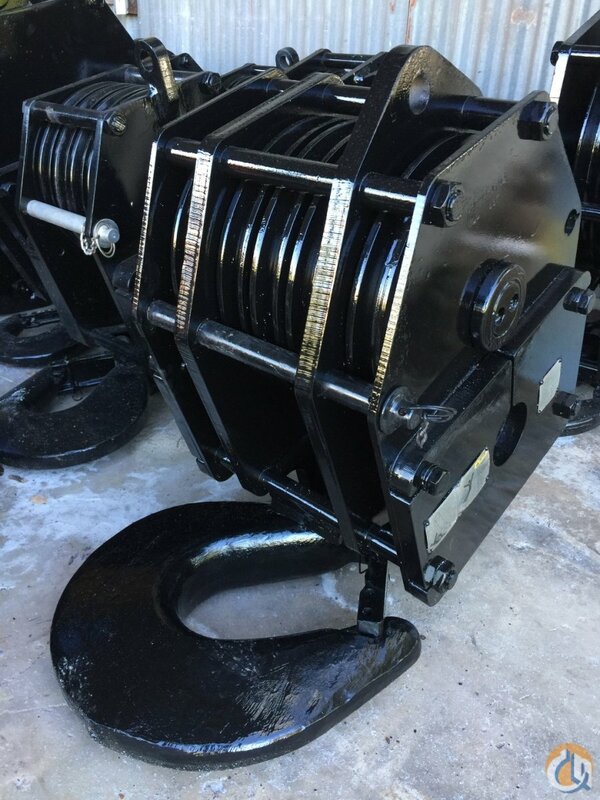 This solution is one of the main benefits of this 250-tonne crane when used in constricted set-up conditions. 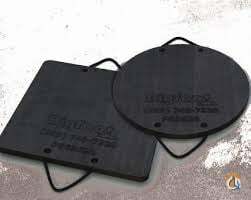 Thanks to the VarioBase® variable support program, which enables each of the supports to be positioned individually, it was even possible to keep a route open for pedestrians to pass. The supports were extended to around 75 percent on the side facing away from the load, leaving enough space for passers-by, many of whom took the opportunity to watch the unusual events from as close as possible. 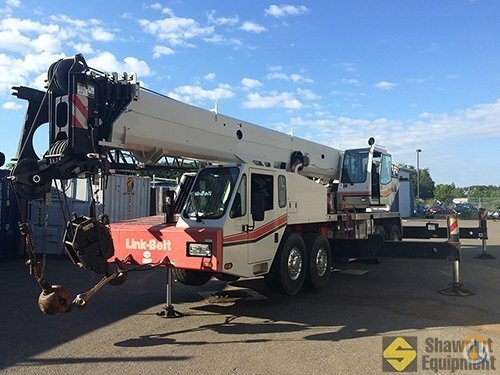 Very little room – the LTM 1250-5.1 took care of dismantling of the construction crane from this narrow alley. 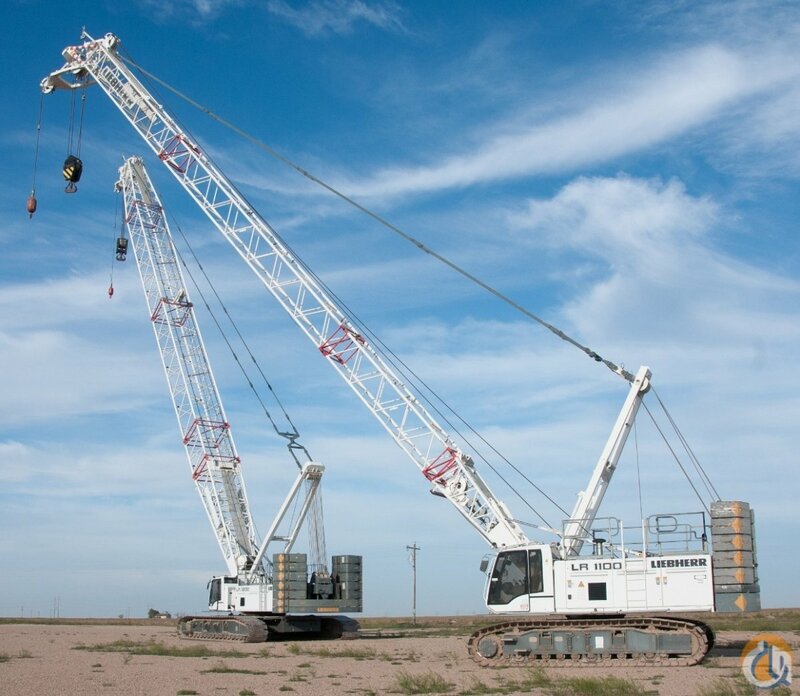 In the cabin of the Liebherr crane, however, there was only intense concentration. 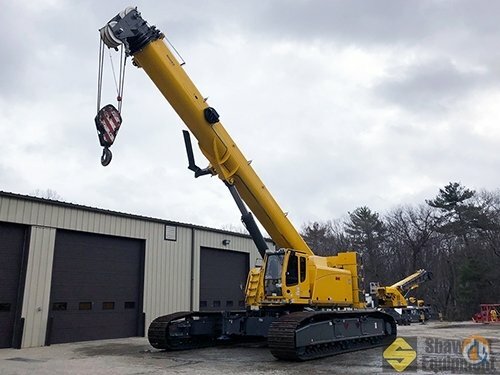 Crane operator Auer had to carefully manoeuvre the main boom on his 250-tonne crane between two gable ends to gain access to the tower sections of the construction crane with the required radius of 40 metres. Kept open by VarioBase® – the way through is kept open for pedestrians – the right-hand crane supports are extended by around 75 percent. 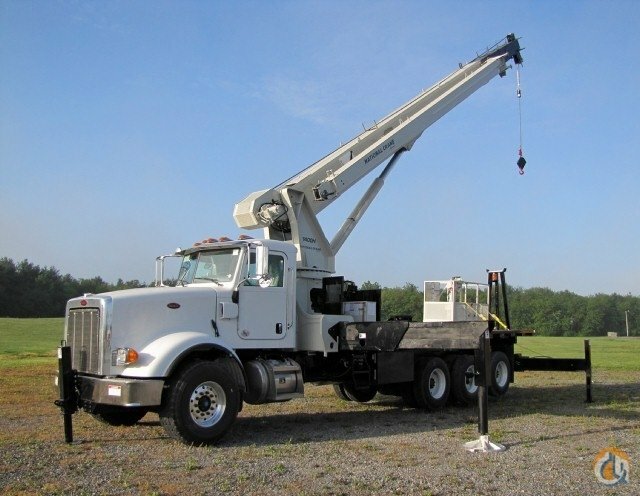 The family-run business was founded in 1938 as a truck workshop. It now has a workforce of 25 and relocated to new premises just outside Landshut two years ago. 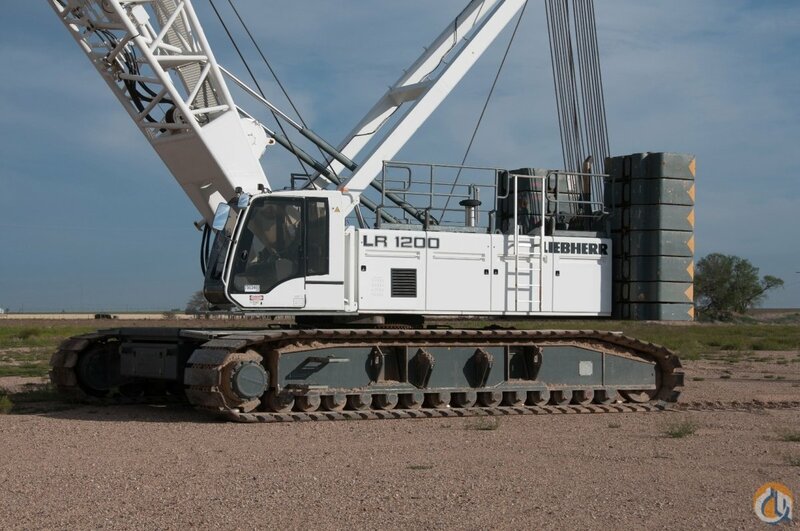 Among other equipment, the company has ten mobile cranes, the most powerful one of which is the Liebherr LTM 1250-5.1.